It is a difficult thing to bring realism to disability. Even a person living with a disability can not fully explore all that is different, or the same, in a life. But that's another reason why disability is little different from nondisability. Who can explain all that is different or the same within their circumstances? 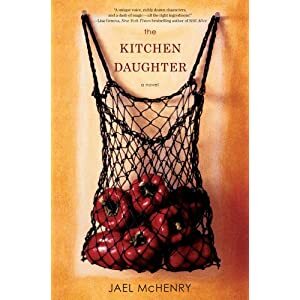 Author Jael McHenry, though, does an excellent job* in sketching out a life with Asperger's in The Kitchen Daughter, a book I recently reviewed for Kirkus. Ginny Selvaggio believes that "normal" means nothing, and everything. And she keeps a Normal Book to prove it. Twenty-something Ginny has Asperger's syndrome, a type of autism sometimes presenting itself as a quirky, difficult personality. Ginny doesn't like crowds, doesn't like to be touched and rarely looks anyone in the eye. And she sometimes hides in a closet when stressed. Now Ginny's protective parents are dead, succumbing to accidental carbon monoxide poisoning while on vacation. *For writing by a person with Asperger's read the work of Temple Grandin.